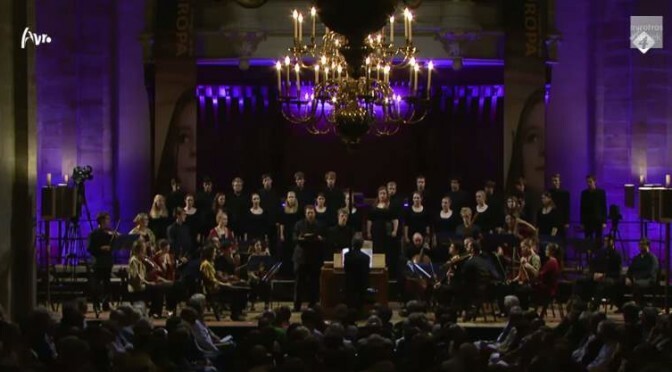 Conducted by Lars Ulrik Mortensen, European Union Baroque Orchestra and Choir of Clare College perform Ode for the Birthday of Queen Anne (HWV 74), a secular cantata composed by George Frideric Handel to a libretto by Ambrose Philips. Soloist: Alex Potter, countertenor. Festival Oude Muziek Utrecht in St. Martin’s Cathedral, Utrecht, 31 August 2013.